SMUGGLERS (3 bedrooms) is set back from the road in a row of old smugglers' cottages opposite the beach. Spread across 3 floors, Smugglers is an iconic Whitstable property, refurbished to a high specification (John Lewis and Laura Ashley throughout) but retaining many original features. 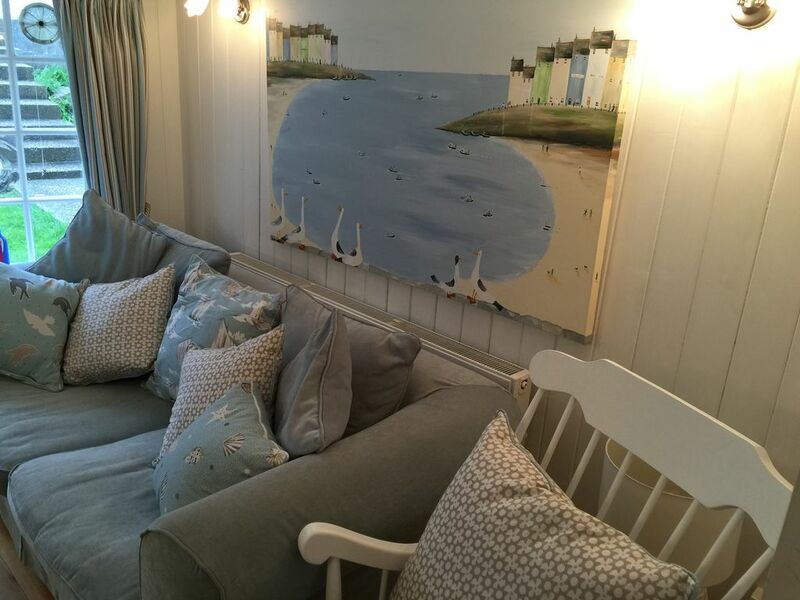 Quaint and cosy, this cottage is ideally located for the beach and the many independent shops and restaurants in the high street - just a 2 minute walk away. Please note the stairs are steep! Children and dogs are very welcome. lovely, eclectically decorated seaside cottage with a nicely sized garden. Six of us (four adults, two teenagers) stayed in this cottage for three days and we wished we had stayed longer. It has an absolutely gorgeous ambience and was just about the right size for us. The cottage has everything you need and all of it is good quality - including a pink Smeg fridge! The welcome pack in the fridge was a lovely touch. Parking is a bit of a problem, but this is the case anywhere in Whitstable near the sea front. Very comfortable and lovely quaint cottage that was very close to the sea and to all amenities. Had a great 3 nights in this beautifully cosy cottage . Lovely garden and the cottage had everything you needed .